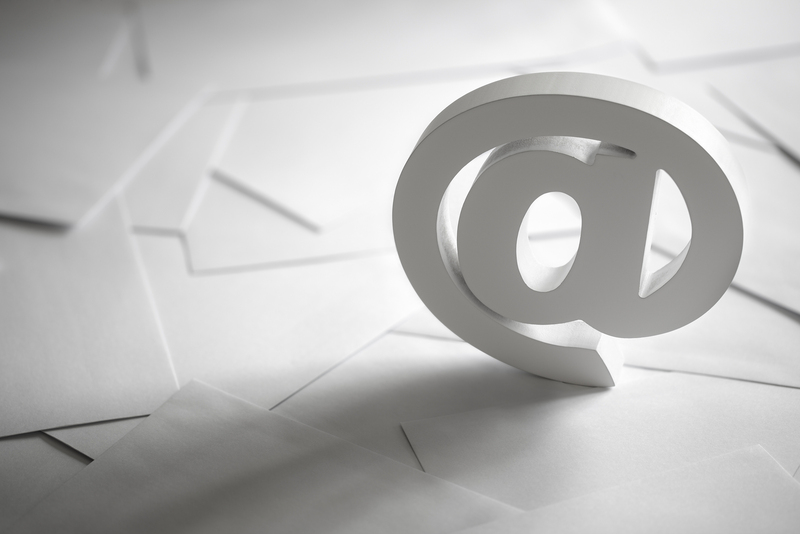 1) What are the top email marketing features SMBs need? Templates that include responsive design – small businesses may not be able to afford a custom HTML design, but because more people are looking at email on their phones, a responsive design is critical. There are several good and affordable email service providers (ESPs) with hundreds of templates that are designed to be responsive. A/B Testing – the ability to test email designs, subject lines or even times of day, etc., will help a small business get the best response based on the test results. Re-marketing – or easily sending a follow-up email to those who opened the first email, but may not have taken a desired action like registering for an event, purchasing an item, etc. This also helps SMBs build targeted lists of targeted consumers – whether a B2B or B2C company. For example, if someone purchased a dress and shoes, but has never purchased jewelry – it may be good to let them know that based on their previous purchases, you recommend this jewelry item to complete their outfit. If they take no action, then it’s likely that customer is more interested in dresses and shoes. Unlimited fields – small businesses keep a variety of lists, and each one may be set up differently with different fields of information. The ESP should offer unlimited fields to give added flexibility. Social media integration – This allows a small business to blast information across a variety of platforms – email, Facebook, Twitter, etc., to reach a broader audience on the platforms they frequent. 2) What are the important metrics for SMBs? Know the target open and click through rates. Open and click through rates are important (and most ESPs make them easy to find), but small businesses should understand that those numbers vary for different industries. Media tend to open email press releases at a rate of 16%, whereas customer enewsletters should strive for a 27% open rate. www.emailstatcenter.com is a great place for information. Engagement is another important measurement, which is why social media integration is critical and not all ESPs offer it. If you can see how many people retweeted, liked, shared your message – it makes it that much stronger! List growth – if your list is growing each month, great. If you’re dripping out of the bottom of your marketing bucket while you’re adding – that has much less value. It’s important to look at databases each month and not just blindly send information to recipients. Look for ESPs that track list growth. Conversion – are people taking the desired actions? Whether that’s downloading white papers, visiting the company website, purchasing an item – conversion is critical for small business growth, and your ESPs should track those numbers and allow you to easily create remarketing lists. 3) Once you select your ESP, what’s some good advice? Be consistent – decide if your company has the time and capacity to send weekly or monthly emails. Don’t start emailing and then stop. Customers will notice. Give your customer control – that can be scary for marketers. But today, we live in a world where people no longer follow set schedules – whether that’s going to work or watching TV. Let your customers truly manage their subscription and set the frequency and content of the information they receive. This will increase the likelihood that your emails are read and produce the desired actions. Need more help? communications 21 is a full-service marketing PR and interactive in Atlanta, and has conducted email marketing campaigns for clients since 2001.